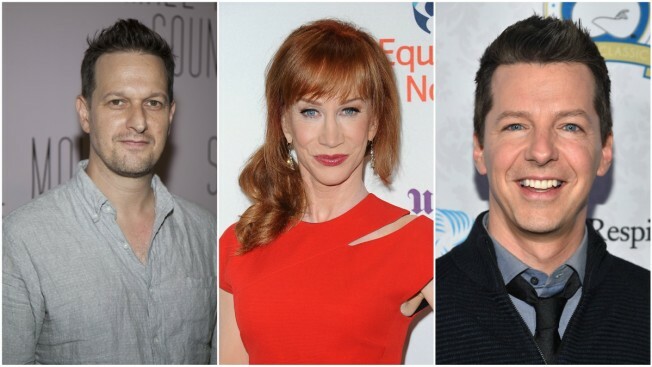 Josh Charles, Kathy Griffin and Sean Hayes were among the stars who shared flashback photos. There's no better feeling then reminiscing about the past with a great Flashback Friday.This week celebrities decided to go all in and embrace their younger selves with #OldHeadshotDay. From Kathy Griffin to Kate Walsh to Yvette Nicole Brown, all showed off their vintage photos on Twitter and Instagram on Friday. Griffin told her haters to "deal with it" in her post on Instagram, while Hillary Burton acknowledged her obsession with gel at a young age. Check out all the celebrities who took part in #OldHeadshotDay below. We were living in NYC, I had just gotten my hair cut and was wearing color contacts (the 90s) when I got my headshots done.